Time to make everything pumpkin spice! Friends. We are in it. The Fall season is the best season in my opinion. My love for scarves, light (emphasis on the word "light") layers, and pumpkin spice lattes knows no bounds. In fact, you can add the words "pumpkin spice" to almost anything and I'll be a marketer's dream and purchase it. Recently I decided to make use of some overripe bananas and make banana bread. 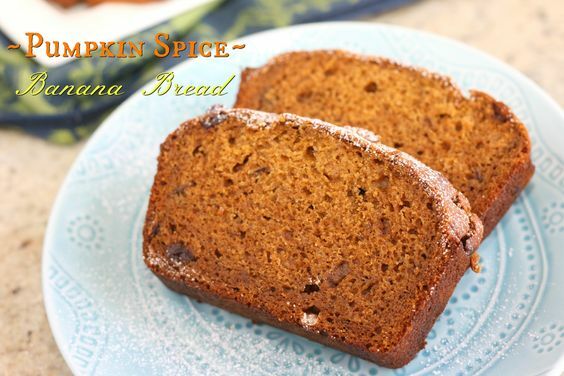 The slight chill in the air put me in the mood to make a fall-inspired bread so of course the only option was to make it a pumpkin spice flavor. Really, there was no other option. 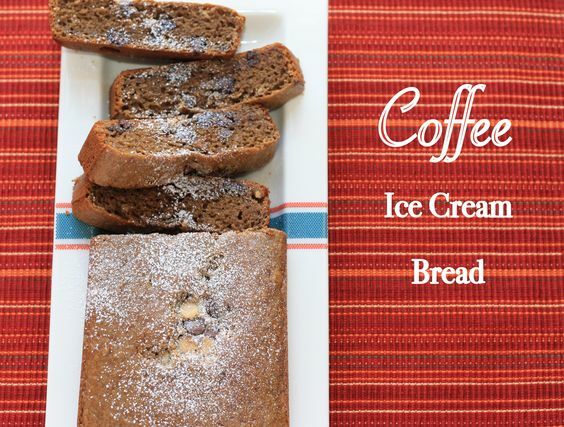 Have you guys heard of this thing called a 2-ingredient ice cream bread? This was a completely new-to-me recipe that my coworker in London introduced me to. Basically my coworkers and I talk a lot about food. This is the foundation of our friendship. And we talk a lot about work too, but that is not what this blog post is about. I was immediately intrigued by the idea and set about making this bread. I detest vanilla ice cream unless it has mix-ins or is covered in chocolate/caramel/booze/etc. So, being the caffeine freak that I am, I snatched up some coffee ice cream while I was stocking up on movie theater popcorn in Trader Joe's. That popcorn is my new "thing". A TJ's cashier once wondered aloud why I needed 4 large bags of popcorn. I told him this was my weekly supply. Let's cool it on the judgement. But once again, that's not what this blog post is about! My mind is still processing how this recipe works, but at a basic level, all the required ingredients for baking a bread-type food item are present so why shouldn't this work out? I am convinced the hardest part of making this bread is waiting for the ice cream to melt. It's torture! I actually left the ice cream out for a few hours the evening before I made this, and then just popped it in the refrigerator until I needed it the next morning. I also spotted a recommendation to add mix-ins to the bread. As mentioned, I love a good mix-in, so I couldn't resist tossing in some milk and white chocolate chips as well. How did it taste? OK, to be honest, it's not going to be the best bread you've ever made, mostly because we're not using fresh ingredients. Ice cream from the grocery store can only be so "fresh". But was it edible? Yes. Was it tasty? Yes. I think it's worth giving it a shot. I'm not sure I'd make it again myself because I know I can make a tastier bread from scratch. But if you are looking for a flavorful shortcut, then this is a good bet! I'm pretty sure it should be a rule that every restaurant should serve breakfast all day long. I'm not talking about diners, where you can order omelets and bacon 24/7. There's no shame in the diner game. I know this because I'm a diner superfan. However, I'm talking about a restaurant where you can order more interesting and unique breakfast fare. The first item on my new restaurant's menu would have to be this Praline French Toast. If you've been reading my blog throughout any of the Fall/Winter months, you have probably heard about my obsession with pecans. 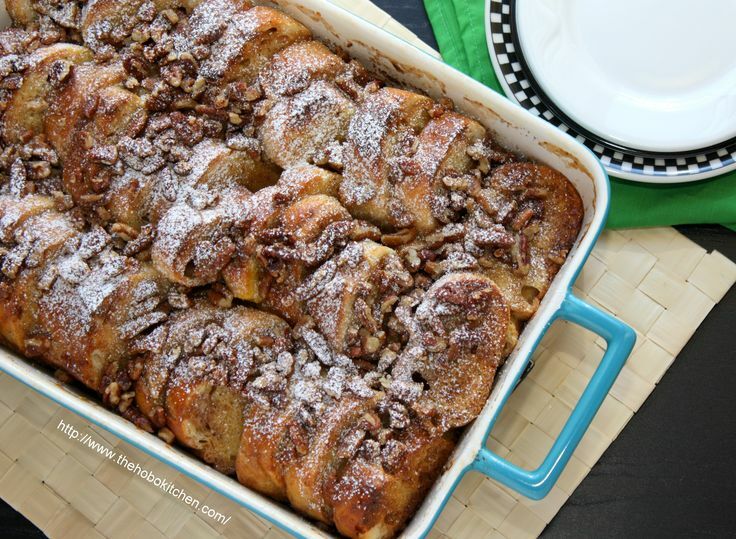 When I saw this french toast contained a praline topping, I was all over this recipe like nobody's business! And can you believe that it's an overnight recipe? This means that I can assemble everything the night before and then the next morning I pop the pan in the oven and enjoy my coffee while breakfast bakes. Or, if I'm not kidding myself, I crawl back into bed and sleep for a few more minutes. This is my real life. It's time once again! SRC time, that is (or Secret Recipe Club time, for the uninitiated). We took a break during December to account for the hectic life that we all experience during the holidays, but now we are back with a vengeance. And by vengeance, I mean I put whiskey all up in this banana bread situation. This month I was paired up with Robin, from Robin, Restored. I like her style. Looking at her website, I found a lot of things that I enjoy, namely desserts, breads, and breakfast recipes. 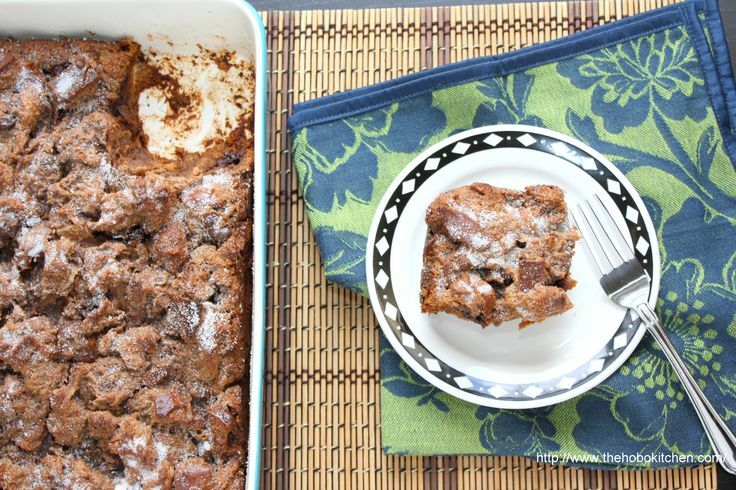 I seriously was having a tough time deciding what to recreate for this assignment when I stumbled upon the recipe for Bourbon Chocolate Banana Bread. Seeing as I had some overripe, mashed bananas taking up room in the freezer, and I was craving something sweet, I knew I needed to make this. Do I even have to mention that I was super into the fact that this bread contains alcohol? Nope, let's not mention it. OK, I also chose to use whiskey in this recipe instead of bourbon simply because I don't have bourbon. My roommate and I don't drink it on the regular, so there's really no reason for it to be around. I improvised and used the huge bottle of Jameson Irish Whiskey we do happen to have. Improvisation at its finest.